The sound of a thousand-strong buffalo herd marching across the savannah always gives us goosebumps, especially when it's followed by the rumbling grunts of the lion pride they're battling with. It's just one of the highlights in Katavi, an exclusive park that engulfs you in wildlife theatre. Katavi is home to wonderful wildlife. Katavi's buffalos are legendary and there's nothing quite like sitting back at the camp and watching them rumble past. You might also wake up to a 50-strong elephant herd wandering to the water or a baboon troop scurrying past. Lion sightings also come from African safari reverie, the boisterous prides regularly harassing herds and creating scenes of raw drama. We like to take a picnic and spend hours watching the show unfold. 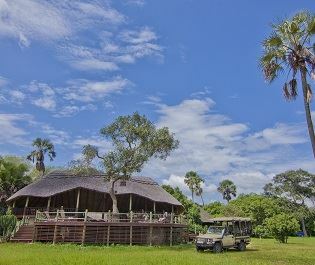 This national park is hidden away in western Tanzania and is only realistic to visit on a fly-in safari. 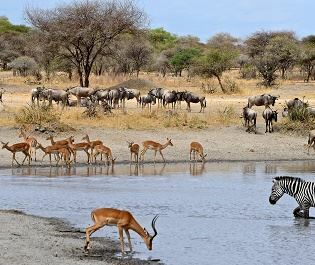 So while the game viewing is outstanding, Katavi only receives a small fraction of the visitors seen in northern Tanzania. Come for a couple of days and it's easy to get lost in the wild bounty, savouring mystical encounters with a sublime array of mammals. Sounds guide you, especially at dusk when the hippos are emerging from the water. All the camps and lodges we recommend effortlessly blend into nature, making it really feel like you're part of the wild. Often the safari comes to your balcony as a wonderful procession of wildlife returns your gaze then continues their journey. A plethora of activities are available here. A wide range of activities make it easy to spend three or more days in Katavi. 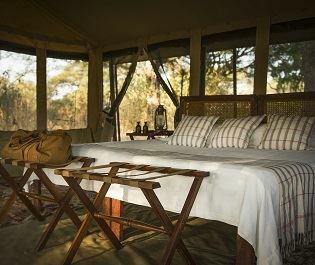 High on anyone's list should be a mobile camping experience, a chance to be in the heart of the wilderness and open all your senses to the animal cast. Rather than drive around, you explore the surrounding area on foot, enabling a very raw connection with nature. The Katavi savannah becomes a swamp during the wet season of March to May and we wouldn't recommend these months. However, it's the perfect place to come and escape the crowds during Tanzania's peak visitor season of June to September. You always enjoy stunning encounters in Katavi and we think this is one of Africa's best kept secrets. For an insight into the true African safari experience, look no further. We love this rustic camp's gentle nod to past pioneering days.